This four-week Play Fast Training is NXT's fundamental-level program for girls who want to fine-tune their skills and elevate their game. Our professional, high-level coaches work directly with players through our carefully-designed Play Fast curriculum to challenge all skill levels. 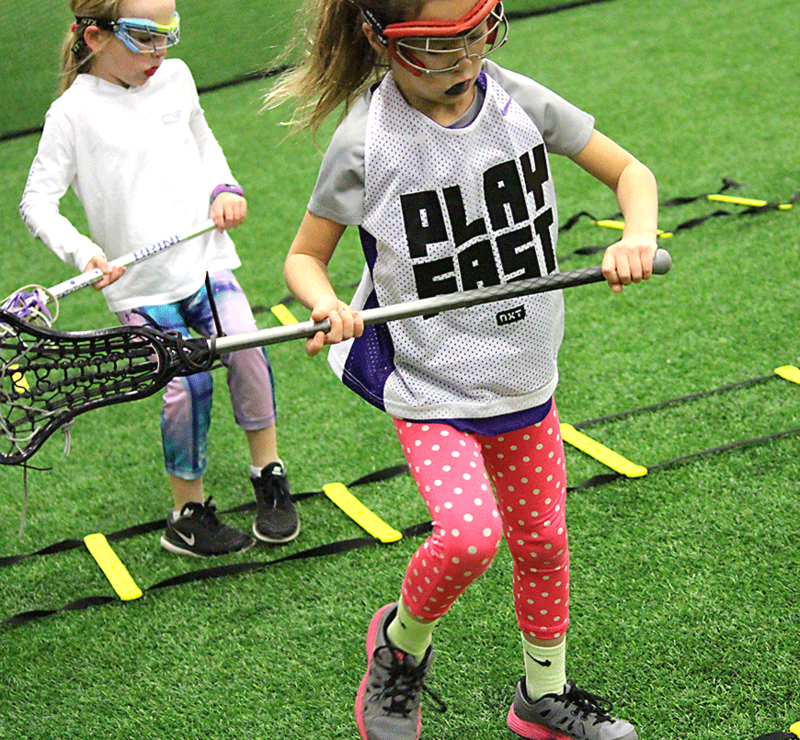 Play Fast Training is all about having fun and playing lacrosse. Spend four sessions with your friends and teammates, develop your fundamental skills and then battle it out with some games! Our original Trashcan Lacrosse game is a player favorite! This possession game teaches ball movement, stick skills, and working off ball. We provide the perfect balance of lacrosse instruction with fun training camaraderie. Whether it's a trashcan game or the banana split dance, we have competitions and relays that keep players engaged and having fun!